The land girls were a super force during the second world war and helped to keep the farms open and the country supplied with food. 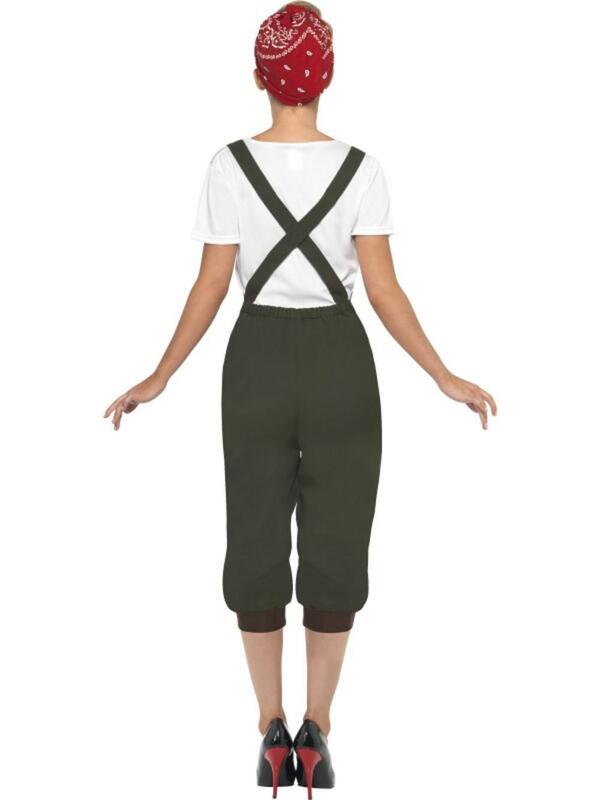 Now you can dress up as one of these super women in our Ladies' World War 2 Land Girl Fancy Dress Costume. 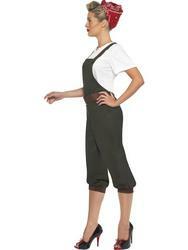 The outfit is comprised of a set of dark green dungarees with attached brown belt and a short sleeved white top. Completing the look is a red and white patterned headscarf. 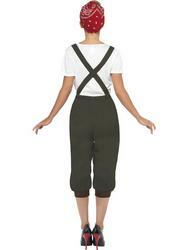 Perfect for wearing to a World War 2 or 1940s themed fancy dress party.